Darwin claimed that a brain that evolved could not adequately detect design. But he did not consider his own presuppositional beliefs or the implications of such an argument. Editor’s note: Throughout this month, Darwinists worldwide will be celebrating the 200th birthday of Charles Darwin (February 12), and they are also using this time to advance his beliefs and attack creationism. One effort by Answers in Genesis to counter the work of Darwin’s followers is the holding of two major (free) Answers for Darwin conferences, one being held this weekend in Southern California and the other in central Virginia, February 15–17. The Virginia conference at the famed Thomas Road Baptist Church in Lynchburg will feature (among others) Dr. David A. DeWitt, Director of the Center for Creation Studies at Liberty University in Lynchburg, author of the following web article. Evolutionists often assert that one of Charles Darwin’s main contributions was to explain the apparent design in nature without appealing to a designer.1 The theory of evolution by means of natural selection provided a completely naturalistic explanation for the variety of living creatures on earth. They compare the contribution of Darwin to that of Copernicus. Copernicus and others showed that the earth moved around the sun and thus was not at the center as most believed. In a similar fashion, it was commonly believed that man was at the center or pinnacle of creation—that man alone among all creatures was special. In arguing that common descent and natural selection account for the origin of man from lower life-forms, Darwin proposed a natural law to explain the origin of man without a creator. The amazing complexity and variety of living things does strongly point to a Creator. 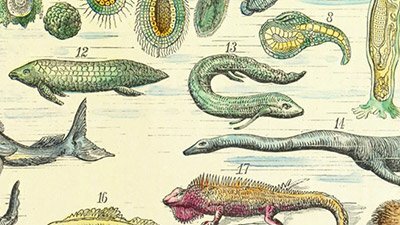 Prior to Darwin’s On the Origin of Species, the argument from design for the existence of a Creator was considered quite compelling. Indeed, while at Cambridge, Darwin was required to study Paley’s Natural Theology. To creationists, the argument from design seems no less compelling today. The amazing complexity and variety of living things does strongly point to a Creator. It is difficult to account for it all by chance and natural law. Darwinian proponents, of course, disagree. This conclusion was strong in my mind about the time, as far as I can remember, when I wrote the Origin of Species, and it is since that time that it has very gradually, with many fluctuations, become weaker. But then arises the doubt—can the mind of man which has, as I fully believe been developed from a mind as low as that possessed by the lowest animals be trusted when it draws such grand conclusions. This statement is quite ironic. Darwin’s evidence that the design argument was flawed was because he couldn’t trust the conclusions of a brain derived from ape-like ancestors. However, if that were true, why should Darwin trust that same brain when it concludes that evolution took place? His argument completely falls apart and is without any basis. Why should the “brain derived from apes” be doubted only when it sees and interprets the evidence for creation and not when it sees evolution? 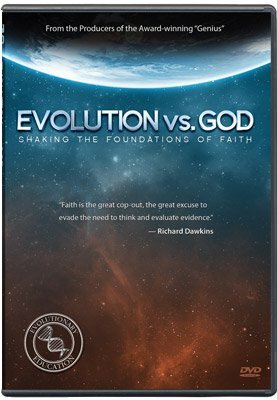 Evolutionists are often critical of creationists for starting with a conclusion (that the Bible is true and that God made everything in six days). In this case, however, it is Darwin who is starting with the conclusion. Follow Darwin’s logic: since man evolved from an ape-like ancestor, his mind cannot be trusted, and, therefore, the conclusion that the universe is designed must be wrong. Darwin is starting with the conclusion—that man evolved from lower forms—and applies circular reasoning to refute design. In other words, Darwin’s belief that man evolved is assumed correct and therefore provides the rationale for rejecting creation. Darwin applied the same faulty logic. If indeed our minds should not be trusted because they are evolved from lower animals, then why should they be trusted for anything? Perhaps we should look at this in a different way. Darwin was really showing the significant gulf that exists between the mind of man and that of the lower animals. One would certainly not ask a gorilla for financial advice or an orangutan for medical care, but we do get such help from people. Maybe we should view the gulf between the mind of man and that of the lower animals as providing evidence that we should trust the obvious conclusion that we were made by a Creator. Dr. David A. DeWitt is the Director of the Center for Creation Studies and a professor of biology at Liberty University. He is the author of Unraveling the Origins Controversy and will be a main speaker at the free Answers for Darwin conference February 15–17 in Lynchburg, Virginia. 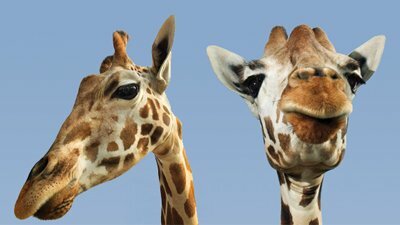 Zoos—Evolutionary Propaganda or Teaching Opportunity? Francisco J. Ayala, “Darwin’s Greatest Discovery: Design without a Designer,” Proceedings of the National Academy of Sciences 104 (2007):8567–8573. Charles Darwin, The Autobiography of Charles Darwin (Cambridge, U.K.: Icon Books, Ltd., 2003), p. 149.